Entering, viewing, and storing truck names is easy with the 225 Navigator's convenient Truck ID menu. Complete alphanumeric descriptions for truck and material prompts make storing and recalling tare weight values quick and simple. 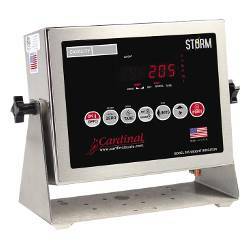 The 225 can store up to 200 IDs with cross reference, plus an additional 200 temporary IDs. The 225 Navigator's dazzling graphics display is perhaps most apparent during batching set-up. Formula ingredients can be named for quick recognition, and, if desired, Cardinal can custom program display prompts and images. Convenient navigation keys combine with a completely menu-driven interface to guide you through the set-up steps. For example, to configure ID storage, select number 1 as the Mode of Operation. You can then access other ID-related set-up screens like the ID counter by answering follow-up questions. 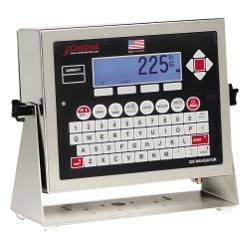 The 225 Navigator's easy-to-use set-up screens economize time configuring weighing operations. You can quickly configure and update the 225 Navigator to meet your specific operational requirements for your weighing application. 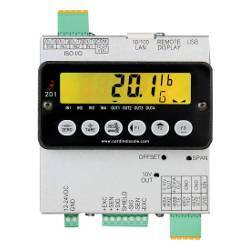 The 225 supports single and dual-speed digital fill control operations with static or dynamic trim which allows a variety of discharge gate configurations. 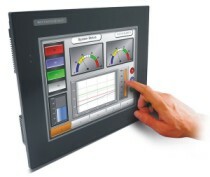 The 225 features remote inputs for Gross, Net, Tare, Print, Zero, Start, Stop, and Dump commands. 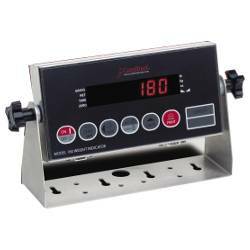 The 225 Navigator features StableSENSE � digital filtering which utilizes proprietary software algorithms to remove or greatly reduce changes in the weight display resulting from movement on the scale platform. Any application affected by vibration or movement on the scale platform can benefit from this filter.